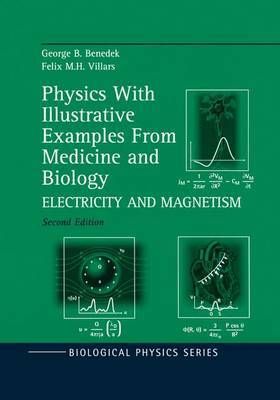 A reissue of a classic book -- corrected, edited, typeset, redrawn, and indexed for the Biological Physics Series. In- tended for undergraduate courses in biophysics, biological physics, physiology, medical physics, and biomedical engineering, this is an introduction to statistical physics with examples and problems from the medical and biological sciences. Topics include the elements of the theory of probability, Poisson statistics, thermal equilibrium, entropy and free energy, and the second law of thermodynamics. It can be used as a supplement to standard introductory physics courses, and as a text for medical schools, medical physics courses, and biology departments. The three volumes combined present all the major topics in physics. These books are being reissued in response to frequent requests to satisfy the growing need among students and practitioners in the medical and biological sciences with a working knowledge of the physical sciences. The books are also in demand in physics departments either as supplements to traditional intro texts or as a main text for those departments offering courses with biological or medical physics orientation.